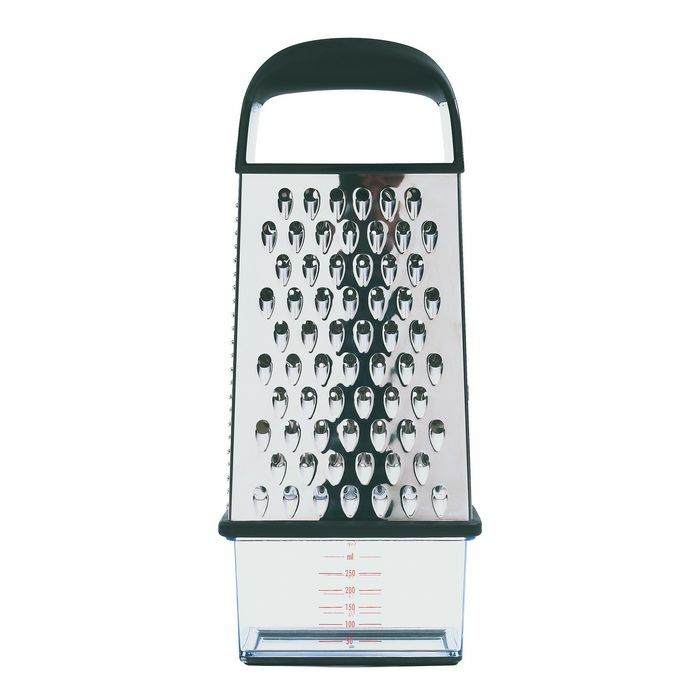 OXO's slim Box Grater features four functional grating surfaces without taking up a lot of space in your drawer. 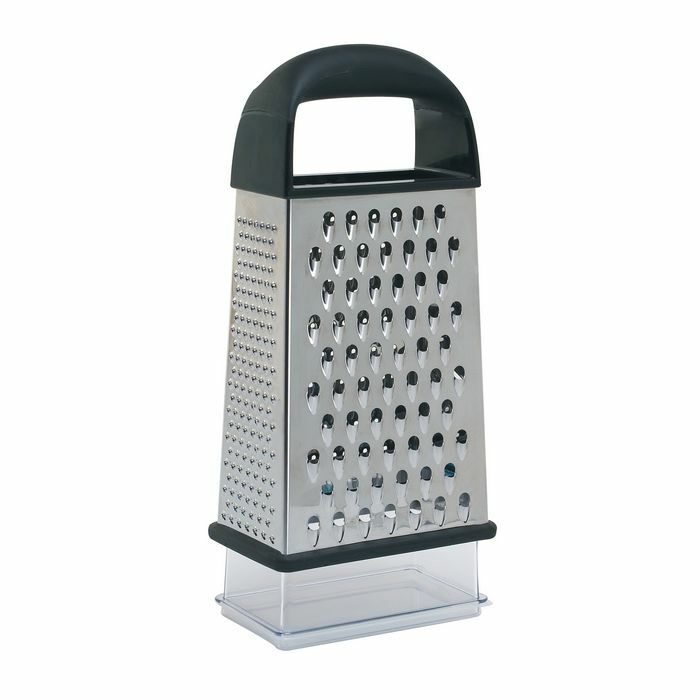 Large, stainless steel coarse and fine grating surfaces are great for cheese, vegetables, chocolate and more. A slimmer, super-fine grating surface is just right for nutmeg and ginger, and the slicing surface yields perfect slices of cucumber, zucchini, cheese and more.